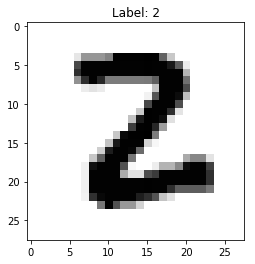 We have a large dataset of pairs where denotes a vector of features and denotes the label for that feature vector. 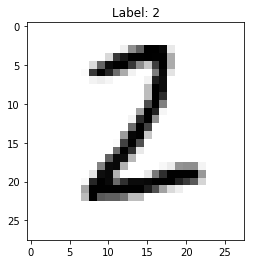 We want to learn a function that maps features to labels, with good generalization accuracy. 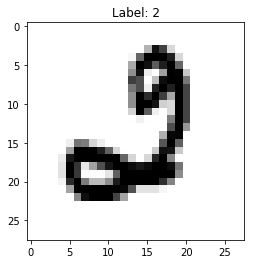 We do this by minimizing a loss function computed on our dataset: . There are many loss functions we can choose. We have gone over the cross-entropy loss and variants of the squared error loss functions in previous workshops, and we will once again consider those today. A single perceptron first calculates a weighted sum of our inputs. This means that we multiply each of our features with an associated weight . We then take the sign of this linear combination, which and the sign tells us whether to classify this instance as a positive or negative example. Therefore, the function we compute for logistic regression is . The sigmoid function is commonly referred to as an “activation” function. When we say that a “neuron computes an activation function”, it means that a standard linear combination is calculated () and then we apply a non linear function to it, such as the sigmoid function. The most important change in moving from a binary (negative/positive) classification model to one that can classify training instances into many different classes (say, 10, for MNIST) is that our vector of weights changes into a matrix . We also want to take our output and normalize the results so that they all sum to one, so that we can interpret them as probabilities. This is commonly done using the softmax function, which takes in a vector and returns another vector who’s elements sum to 1, and each element is proportional in scale to what it was in the original vector. In binary classification we used the sigmoid function to compute probabilities. Now since we have a vector, we use the softmax function. 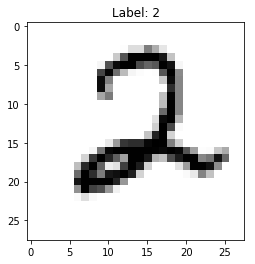 Now that we’ve figured out how to linearly model multi-class classification, we can create a basic neural network. Consider what happens when we combine the idea of artificial neurons with our softmax classifier. Instead of computing a linear function $Wx + b$ and immediately passing the output to a softmax function, we have an intermediate step: pass the output of our linear combination to a vector of artificial neurons, which each compute a nonlinear function. The output of this “layer” of neurons can be multiplied with a matrix of weights again, and we can apply our softmax function to this result to produce our predictions. The key differences are that we have more biases and weights, as well as a larger composition of functions. This function is harder to optimize, and introduces a few interesting ideas about learning the weights with an algorithm known as backpropagation. We’re now ready to start implementing a basic neural network in Tensorflow. First, let’s start off with the standard import statements, and visualize a few examples from our training dataset. As usual, we would like to define several variables to represent our weight matrices and our biases. We will also need to create placeholders to hold our actual data. 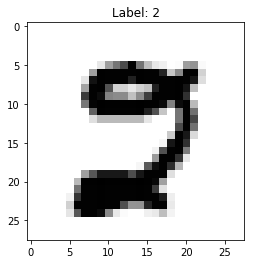 Anytime we want to create variables or placeholders, we must have a sense of the shape of our data so that Tensorflow has no issues in carrying out the numerical computations. 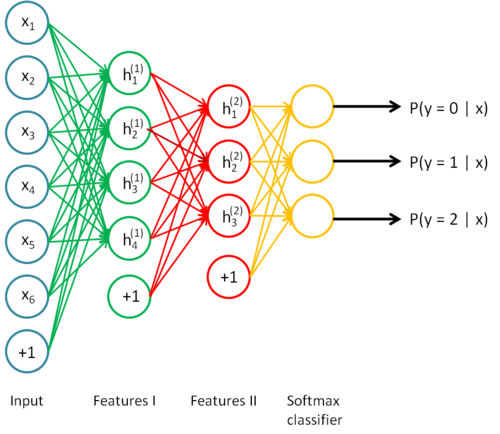 In addition, neural networks rely on various hyperparameters, some of which will be defined below. Two important ones are the ** learning rate ** and the number of neurons in our hidden layer. Depending on these settings, the accuracy of the network may greatly change. x = tf.placeholder(tf.float32, shape = [None, 784]) # none = the size of that dimension doesn't matter. why is that okay here? We will now actually create all of the variables we need, and define our neural network as a series of function computations. In our first layer, we take our inputs that have dimension , and multiply them with weights that have dimension , where is the number of neurons in the hidden layer. We then add the biases to this result, which also have a dimension of . Finally, we apply a nonlinearity to our result. There are, as discussed, several choices, three of which are tanh, sigmoid, and rectifier. 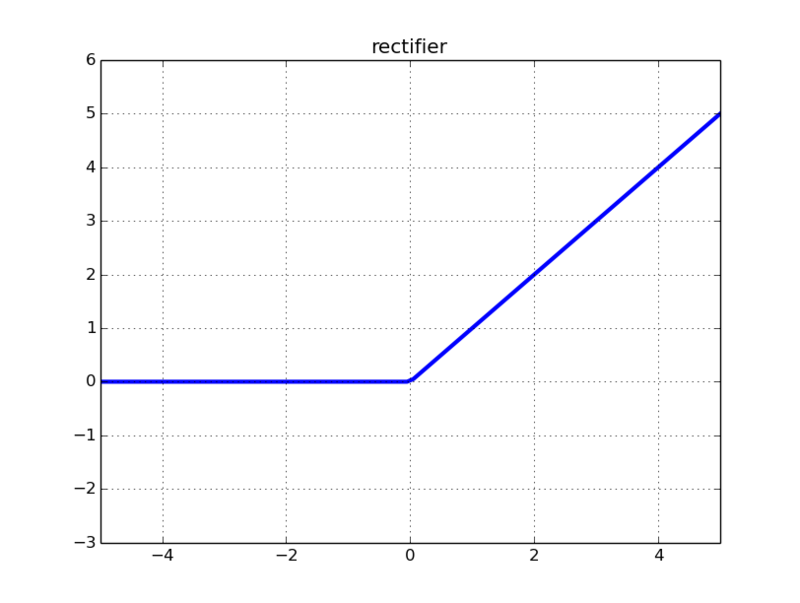 We have chosen to use the rectifier (also known as relu, standing for Rectified Linear Unit), since it has been shown in both research and practice that they tend to outperform and learn faster than other activation functions. Therefore, the “activations” of our hidden layer are given by . We follow a similar procedure for our output layer. Our activations have a shape , where is the number of training examples we input into our network and $k$ is the number of neurons in our hidden layer. 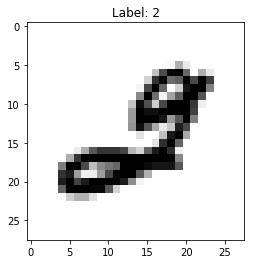 We want our final outputs to have dimension (in the case of MNIST) since we have 10 classes. Therefore, it makes sense for our second matrix of weights to have dimension and the bias to have dimension . After taking the linear combination , we would then apply the softmax function. However, applying the softmax function and then writing out the cross-entropy loss ourself could result in numerical unstability, so we will instead use a library call that computes both the softmax outputs and the cross entropy loss. So our cross-entropy loss makes intuitive sense: it is lower when our softmax vector has a high probability at the index of the true label, and it is higher when our probabilities indicate a wrong or uncertain choice. Sanity check: why do we need the negative sign outside the sum? # we will need to run this in our session to initialize our weights and biases. With all of our variables created and computation graph defined, we can now launch the graph in a session and begin training. It is important to remember that since we declared the and variables as placeholders, we will need to feed in data to run our optimizer that minimizes the cross entropy loss. The data we will feed in (by passing into our function a dictionary feed_dict) will come from the MNIST dataset. To randomly sample 100 training examples, we can use a wrapper provided by Tensorflow: mnnist.train.next_batch(100). When we run the optimizer with the call optimizer.run(..) Tensorflow calculates a forward pass for us (essentially propagating our data through the graph we have described), and then uses the loss function we created to evaluate the loss, and then computes partial derivatives with respect to each set of weights and updates the weights according to the partial derivatives. This is called the backpropagation algorithm, and it involves significant application of the chain rule. CS 231N provides an excellent explanation of backpropagation. # launch a session to run our graph defined above. # accuracy and loss are both functions that take (x, y) pairs as input, and run a forward pass through the network to obtain a prediction, and then compares the prediction with the actual y. Why is the test accuracy lower than the (final) training accuracy ? Why is there only a nonlinearity in our hidden layer, and not in the output layer? How can we tune our hyperparameters? In practice, is it okay to continually search for the best performance on the test dataset? Why do we use only 100 examples in each iteration, as opposed to the entire dataset of 50,000 examples? Using different activation functions. 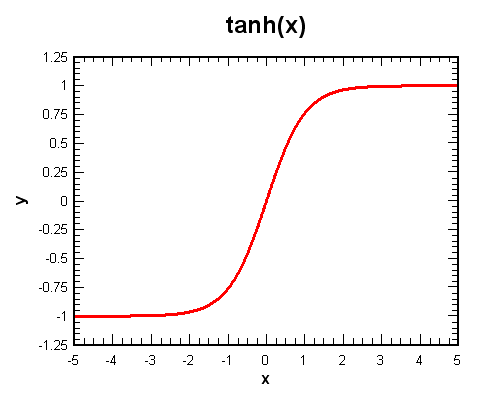 Consult the Tensorflow documentation on tanh and sigmoid, and use that as the activation function instead of relu. Gauge the resulting changes in accuracy. Using different loss functions - we have discussed the cross entropy loss. 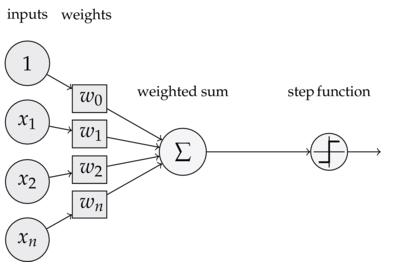 Another common loss function used in neural networks is the MSE loss. Consult the Tensorflow documentation and implement the MSELoss() function. Use weight_variable() and bias_variable() to create new variables for the additional layer (remember to specify the shape correctly). Similar to computing the activations for the first layer, h_1 = tf.nn.relu(...), compute the activations for your additional hidden layer. Remember to change your output weight dimensions in order to reflect the number of neurons in the previous layer. *Technical note: The way this loss function is presented is such that activations corresponding to a label of zero are not penalized at all. The full form of the cross-entropy loss is given by . 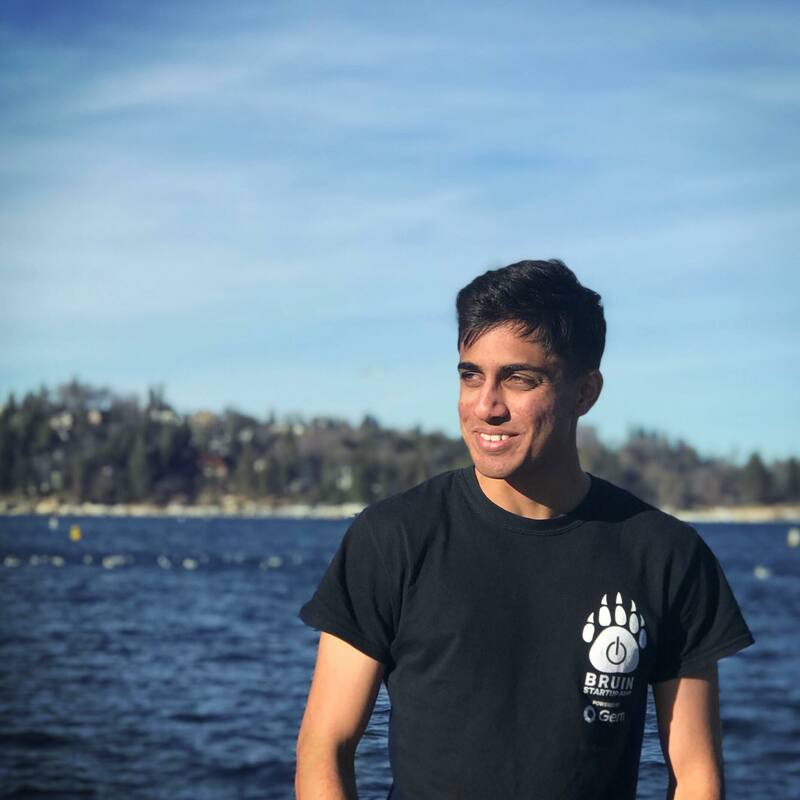 However, the previously presented function works just as well in environments with larger amounts of data samples and training for many epochs (passes through the dataset), which is typically the case for neural networks.